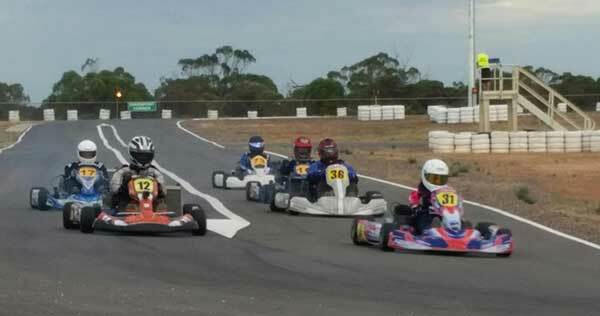 Whyalla Kart Club’s first race meeting of the year was held on March 17th. The meeting started mid-afternoon and ran into the night under lights. Many drivers commented that when it cooled off the karts performance improved, making great racing. The first off the grid saw Open Performance combined with Tag Heavy. The Cadet 12 and Cadet 9 classes were also combined with 2 new drivers to Whyalla joining the field. In Cadet 12 Blade Elliot-Taylor and Cadet 9 Henry McPhail, both drivers enjoying the track layout. The largest group of the night was a combination of KA3 Senior, TaG Res Light and Medium. 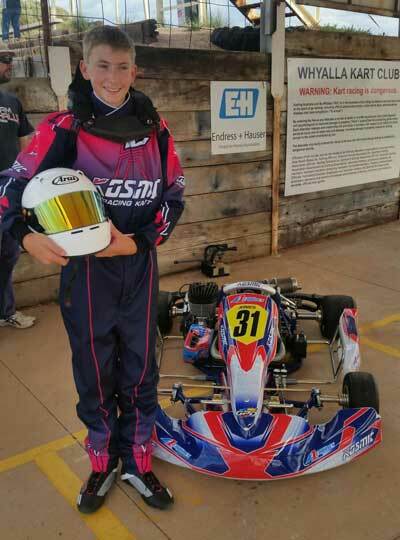 The first race of the season did not see as many karters as we would have liked, but with the 1st round of the S.A titles later in the year, numbers are expected to improve for the next meet on the 21st of April. We all hope to see you there. Whyalla Kart Club would like to thank all the volunteers, but a special mention to Ron Florentinus for all the ongoing support. Also to Signarama for sponsoring the event.